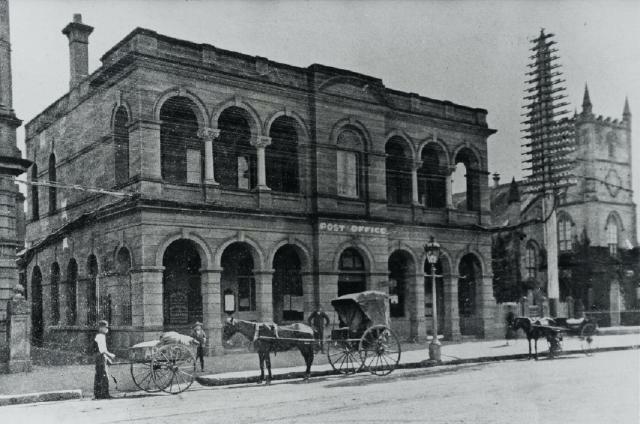 In 1876 an inspector reported that the post office was a ‘very dirty shop’ and this led to a move to build a ‘modern office’. This building was designed by the Colonial Architect James Barnett and was built in between 1878- 1880. 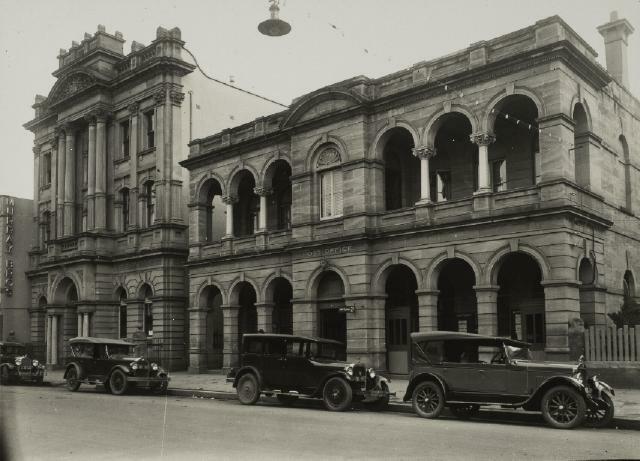 The building still stands as a two storey sandstone building in the ‘mannerist’ style complete with grey marble columns.